Dr. Mike Vardshavski, an osteopathic family physician, says most people don’t have a health condition that requires them to take vitamins. Those people, he says, are wasting money and could even be harming their health. "Numerous investigations show the alleged benefits are unproven and in the worst cases, vitamins and supplements can be harmful," Varshavski said. "In particular, I advise patients that this industry is highly unregulated, so it's important to research manufacturers to ensure their products actually contain the nutritional supplements advertised." The Food and Drug Administration (FDA) has responsibility for regulating supplements, but it uses a different set of rules than used for drug regulation. Dr. Tod Cooperman, founder of an independent testing lab called ConsumerLab, addressed a recent NIH symposium and outlined the results of the latest supplement analysis. The survey asked consumers how they decided which vitamins or supplements to take. Just over half said they got a recommendation from a doctor, which would seem to be the safest source. Thirty-nine percent said they did their own research and 22 percent said they got advice from a friend or family member. "Obviously, there is a great need for real education on this topic, even among health care professionals," said Varshavski. "Consumers are also cautioned to avoid trends, such as vaping supplements, until the research is conclusive, and to be skeptical of gummy vitamins—which are basically sugar tablets." 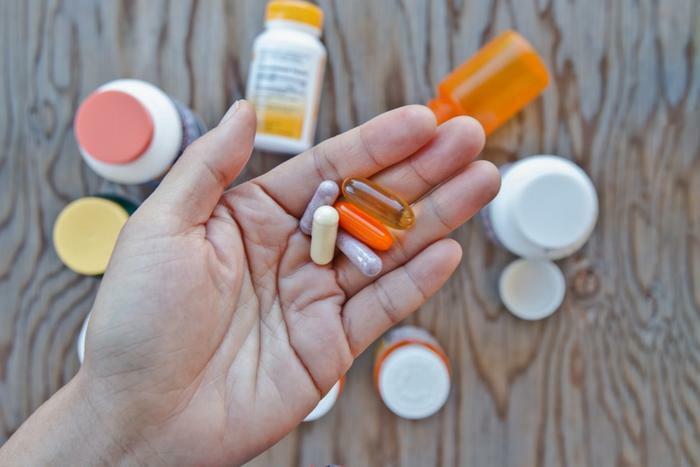 The AOA has called for legislation requiring dietary supplements to undergo pre-market safety and efficacy evaluation by the FDA, just as drugs do. The organization also says the FDA should monitor all products marketed for human consumption, including nutritional supplements. If you think you really need to take a supplement, Varshavski recommends choosing one that carries a certification or approval from a trusted, independent organization. That won’t guarantee the product will be effective, only that it contains the correct ingredients and in the correct amounts.